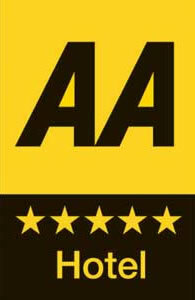 The White Hart are delighted to announce that we have just received a 5 star AA rating for our accommodation. Having worked so hard on our rooms over the last 2 years we’re really pleased that all this work has paid off and we’d like to thank everyone involved including our loyal staff along with the many guests that have stayed with us over this time. Along with our coveted Four Gold Star rating for accommodation in a recent inspection by the British Tourism Board we hope that each year we strive to improve the service we provide to our guests.